This innovative online course offers an engaging way for the licensed practical nurse (LPN) to master essential leadership and supervisory skills. It consists of seven (7) interactive modules that follow a consistent organizational structure and features learning activities, exercises, case studies and video clips. Blending seamlessly into your nursing experience, it provides key information, reinforces learning, and provides application of important supervisory concepts. 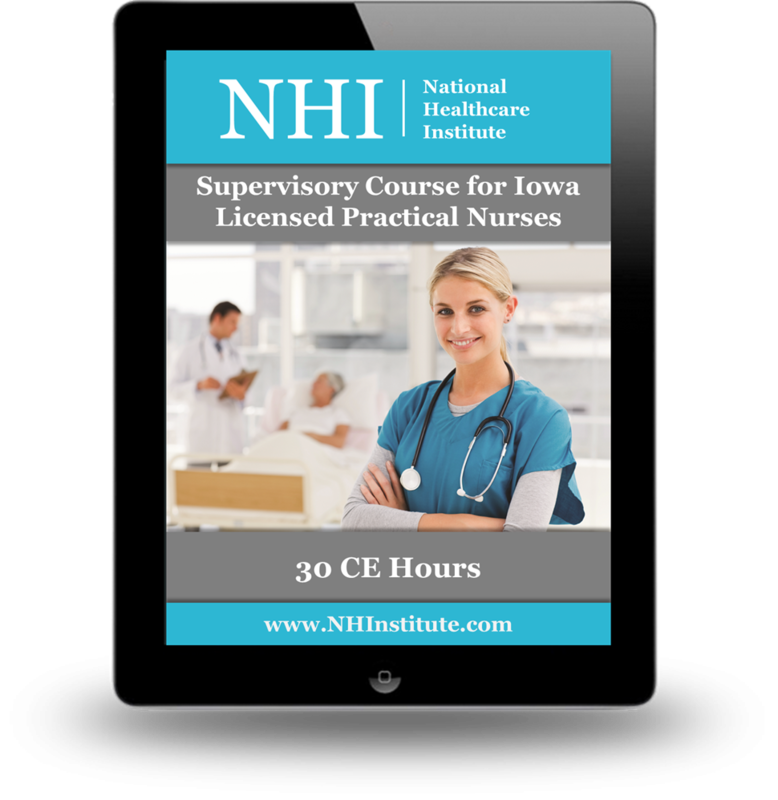 As required by the Iowa Board of Nursing, this course provides an overview of Iowa Administrative Code, Chapter 152 the state law that regulates the practice of nursing. Also, this course reviews Iowa Administrative Code 655 6.5(1)b. (2) which permits the licensed practical nurse, working under the supervision of the registered nurse, to supervise in a nursing facility. Other topics include limits of authority and appropriate documentation, supervisory role transition, strategies for directing the practice of others, principles of delegation, effective communication, team building and conflict resolution, work performance accountability, employee evaluation, interpersonal relationship skills, assignment development, and recognition and resolution of inappropriate delegation. Nursing Board Approvals National Healthcare Institute (NHI) is an approved provider of continuing nursing education by the California, Florida, District of Columbia, Georgia and Iowa Board of Nursing. 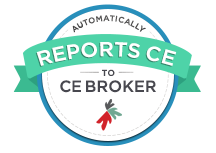 All CE courses offer by National Healthcare Institute follow the standards recommended by the American Nurses Credentialing Center’s Commission on Accreditation and each specific board of nursing for this type of educational activities.